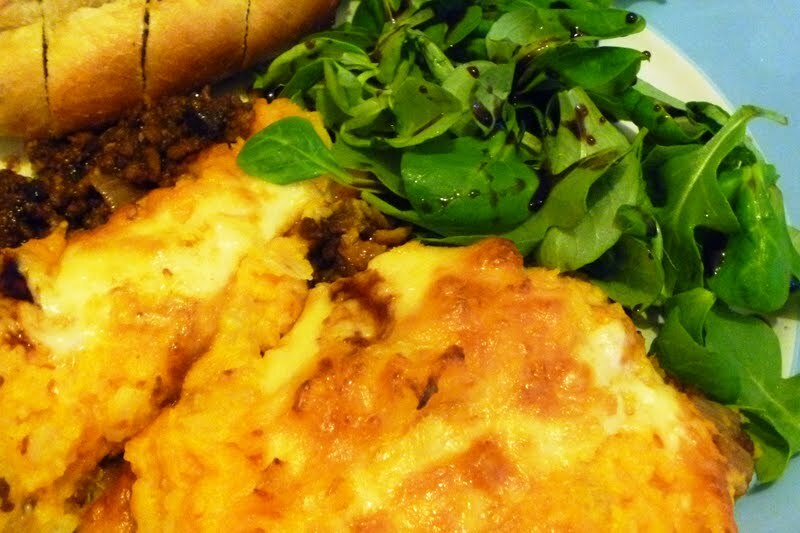 Today I am featuring my vegetarian take on Gino D'Acampo's Italian Shepherds pie. I must confess to being a fan of Gino's cooking mainly because he cooks mainly italian food which I love. I also have his cook book "The Italian Diet" and have adapted some of the meaty recipes from there to be vegetarian like my Aubergine and Mozzarella Bake. 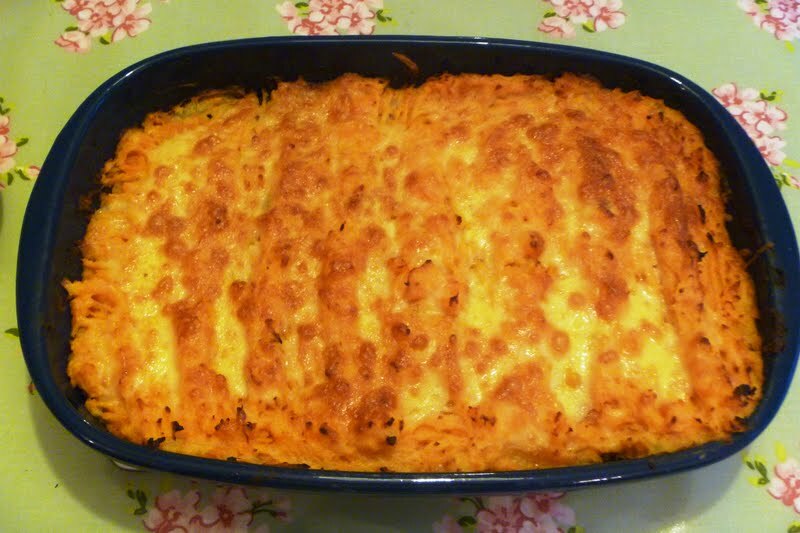 I saw Gino D'Acampo make this Italian Shepherds pie on This Morning and it really appealed to me. This is one of my absolute favourite dishes and it has a really interesting flavour. The combination of the red wine and basil in the bolognese and sweet potato and parmesan on top are delicious. I also love it because it contains red wine and of course, opening a bottle of wine for one glass means that I can have one too! If you only sample one recipe on The Vegetarian Experience, I would definitely recommend this one. 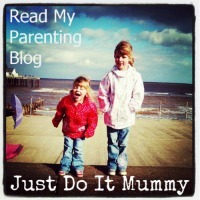 My eldest daughter says that this is her favourite dish to eat. You could vary this recipe by using purely sweet potato instead of both. I have also made this recipe using mozzarella cheese which is more vegetarian friendly, and also using cheddar cheese on the top. Both worked well. You could also add a splash of lea and perrins Worcester sauce to the bolognese for an extra kick, although this may not appeal to strict vegetarians. Preheat the oven to 200 degrees, gas mark 6 Heat the Olive oil in a large saucepan and fry the onion, carrots and mushrooms for about 10 minutes until softened. 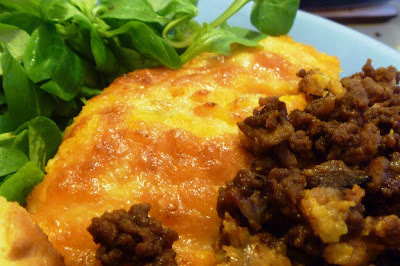 Add the vegetarian mince (tip - I use a rolling pin to get the clumps out before the pack is opened).. Season with salt and pepper and stir frequently with a wooden spoon for 5 minutes to separate any clumps. Add in the red wine and simmer for about 10 minutes, stirring occasionally, until the alcohol has evaporated. Add the tomatoes and basil, taste to Season and cook, uncovered over a medium heat for 30 minutes. Stir occasionally. Cook the potatoes in boiling salted water until soft. Drain and mash well, adding in the butter, milk and 100g of the vegetarian Parmesan. Season with salt and pepper and then stir vigorously over a low heat for 2 minutes to give a creamy texture. Pour the vegetarian shepherds pie mixture into a pie dish and spread evenly over the dish. 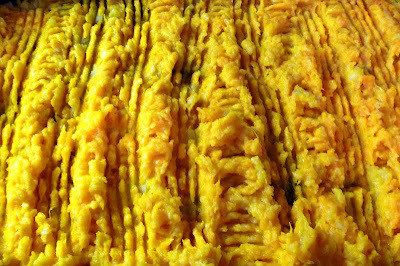 Spread the potato over the pie mixture, ensuring that the mixture is completely covered. Use a fork to create small peaks, and then sprinkle the remaining vegetarian parmesan on top. Bake in the centre of the oven for about 20 minutes or until the topping is crisp and golden. I served my Italian Shepherds pie with an Italian salad and drizzled some Balsamic Reduction over the dish. Bon Appetit!! Looks great for meat free dish mmm!! That potato topping looks lovely.